You have these goals, dreams, wishes and desires, and yet year in and year out you find yourself stuck. Unable to manifest what you REALLY want. 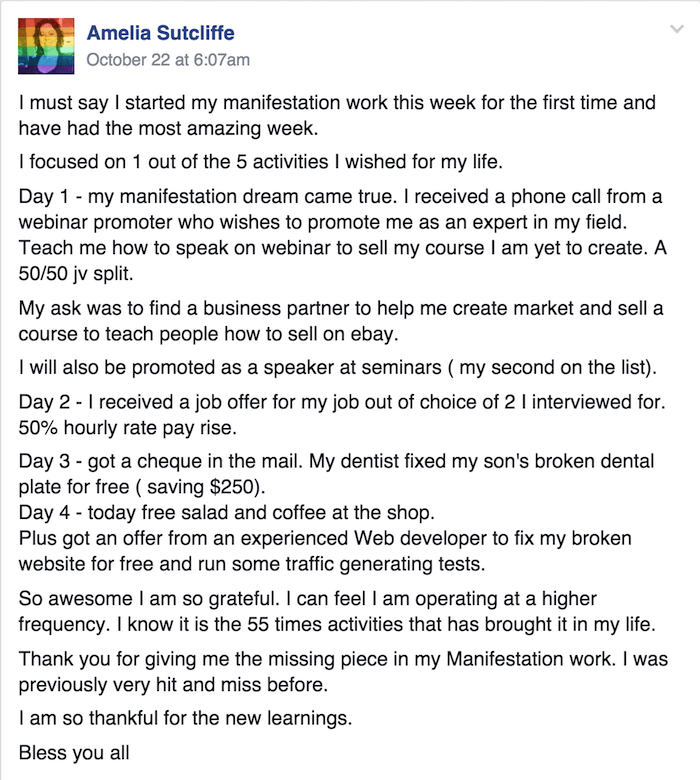 Yep, once you have my secret “ancient manifesting ritual,” you’ll be able to start manifesting in under an hour. And even if you’re an experienced Manifestor, I promise that once you use this “Ancient Manifesting Ritual” you’ll start getting more out of life than you ever thought possible. But here's the real kicker (and what REALLY matters)... It's not just me having this great success! … and the exact ritual that lead to manifesting so much more!! Now don’t get me wrong, I’ve made my fair share of mistakes over the years… ESPECIALLY when it’s come to mastering the law of attraction. … and I teach this stuff for a living!! That’s why I’ve been so careful to document WHAT WORKS into simple, easy-to-follow steps so you can duplicate the results and create your own miracles. 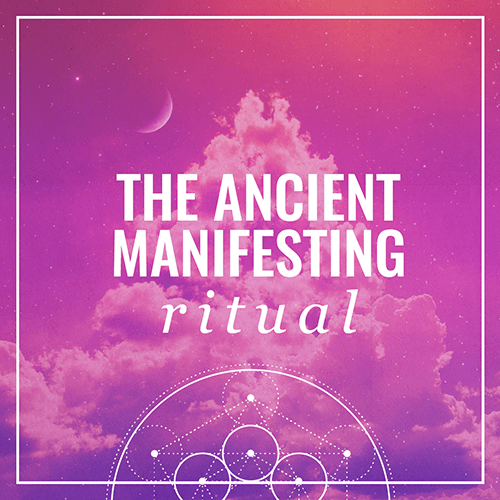 Normally this Ancient Manifesting Ritual would sell for $27-$47, but for a limited time I’ll let you have instant access to this mind-blowing process for just $9. Speed up the manifesting process by creating the perfect invocation with laser focused clarity of exactly what you want. Take the first steps in the direction of manifesting all your desires. With one failed marriage under my belt I didn't think I'd find love again, but I manifested my soulmate (on Twitter). We now have two beautiful baby girls that I also manifested, even though I was told I couldn't carry a baby to full term. The key is to believe that ANYTHING is possible. Your purchase is 100% Risk Free. If you're not happy with the ritual for any reason, simply let our friendly support team know (via email) and we'll happily refund your money within 60 days of purchase. Out of the blue we just got $150 put in the bank AND my husband just got an $8,000 pay rise!!! Thank you beautiful universal energy and Sarah and Sean! I am GRATEFUL. …all for just $47 $9. Click the “Add To Cart” button now for INSTANT ACCESS! Q.Does this ritual really work? A.YES! Smart manifesters are able to charge their intentions so strongly that they start manifesting instantly. Yep, once you have my secret “ancient manifesting ritual,” you’ll be able to start manifesting your intentions within the week. 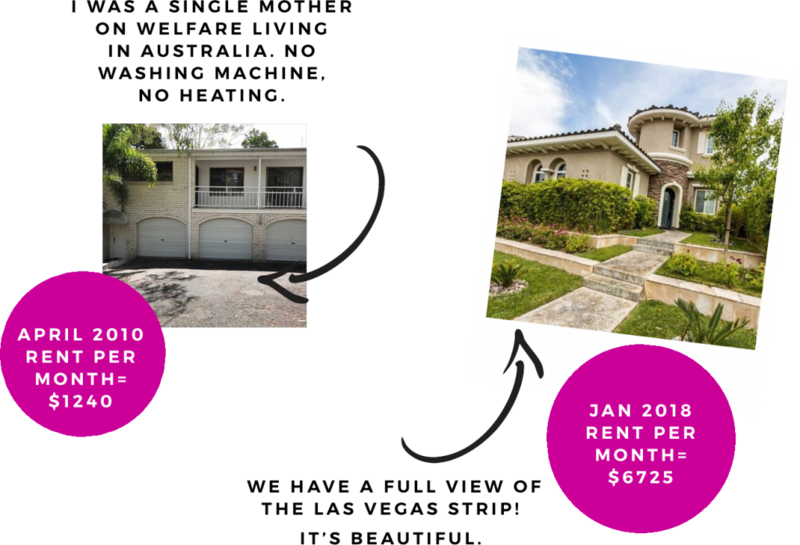 And even if you’re an experienced manifestor, I promise that once you see our secret “ancient manifesting ritual,” you’ll be able to manifest faster and with less effort than you ever thought possible. The bottom line? It works, I’ve tried it and it’s powerful. A.Of course! All of my trainings have a 60-day, no-questions-asked guarantee. No fine print…no “hidden nasties”…no funny buggers.Just the inspiration you need and the results you want. Q.How long will it take to access the Ancient Manifesting Ritual? A.Immediate. This product is DOWNLOADABLE. Your login and access information will be sent to the email address you provide, and there will be instructions on the next page that explain how you can access the ritual inside of the SarahProut.com members center.